The Phase 1 review of Uganda finds that generally the legal and regulatory framework for the availability of information is in place. However, Uganda should ensure that all nominees maintain relevant ownership and identity information where they act as the legal owners on behalf of any other persons. In addition, Uganda should ensure the availability of ownership information in respect of bearers of share warrants in all cases. In respect of accounting information, Uganda was recommended to introduce consistent obligations for companies, partnerships and trusts to maintain underlying documents in all cases for a period of at least five years. Uganda has sufficient powers to access information for both domestic and exchange of information purposes and the right balance has been struck between rights and safeguards and accessing information. At present, Uganda’s network of information exchange mechanisms covers 17 jurisdictions and Uganda is continuing to take steps to extend this. The ratification of EOI agreements was found to take several years on occasion and Uganda should ensure the timely ratification of its EOI agreements. 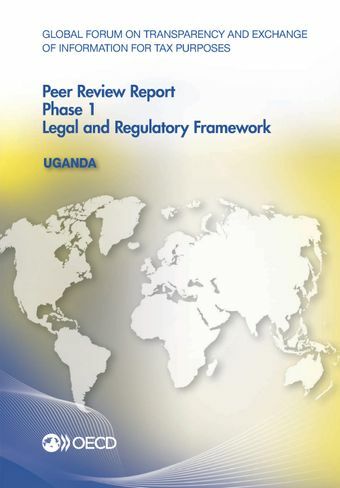 Uganda’s response to the recommendations in this report, as well as the application of the legal framework to the practices of its competent authority will be considered in detail in the Phase 2 Peer Review of El Salvador which is scheduled for the second quarter of 2015. For further information on the exchange of information practice of Uganda and to read the full report click here.